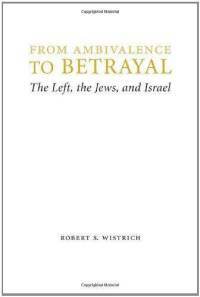 Well I finished reading Robert Wistrich’s From Ambivalence to Betrayal: The Left, the Jews, and Israel. And, as expected from a scholar of Wistrich’s impeccable talents, the book is not just masterful but is likely to represent the seminal work on the subject of Left-Right anti-Semitism for decades to come. My first instinct was to keep thoughts on Wistrich’s new book to myself, given the arguments that tend to break out among friends when Left vs. Right political issues make an appearance on this blog. After all, despite considerable differences on almost every single issue, among the mainstream Left and Right (at least in the US) there is general consensus with regard to support for the Jewish state and near universal revulsion at everything BDS is, does and stands for. Sure, support for the Jewish state might hue closer to 2:1 among liberal audiences vs. 3:1 or 4:1 in more conservative circles. But even with these stats, I can’t think of any other concrete issue (certainly not one dealing with foreign policy) that unites the political spectrum as much as its ongoing favorable disposition towards Israel. And given that every BDS battle I’ve ever been involved with included Left-leaning and Right-leaning persons working side-by-side to hand the boycotters their head (again), it’s tempting to leave well enough alone and just move forward with the assumption that, when needed, members across the political spectrum will unite again to fight off the next BDS threat. 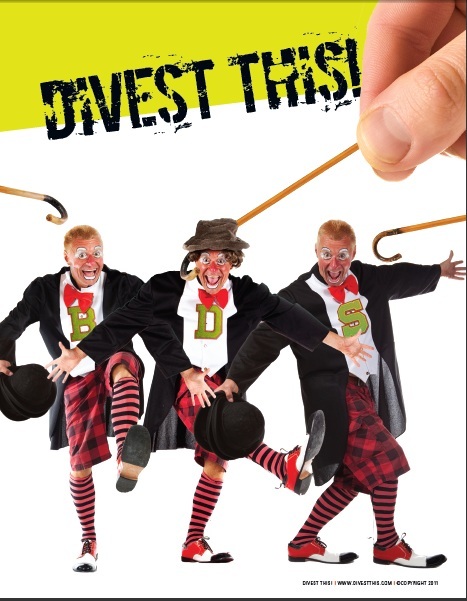 But as those of you who follow Divest This should know by now, avoiding controversy (even for the sake of comity) is not my thing, especially when discussion of a topic so close to the surface might help us achieve a new level of understanding that can only help us as we prepare for the next fight. I’m also hoping that, now that the US election season has finally ended, we can discuss these matters without the interference of an agenda regarding whom the Jews should vote for last November. Not that Jewish voting patterns aren’t worth a discussion once the next election looms. But given that we’ve got a few years to go until this issue becomes significant again, this seems like the perfect time to delve deeper into a subject that has traditionally divided, but has the potential to unite. Because of the depth of this topic, my thoughts on From Ambivalence to Betrayal are likely to bother several friends over the course of what will likely be a 4-5 part series that I hope to complete this week. And while I’ll make no changes in comment policy during this period, all I ask is that readers offended by any particular piece reserve judgment (and your best arguments) for after the series is complete and you can see the entire scope of what I’ve learned from Professor Wistrich. And with that, I’ll kick off tomorrow with something I think we call can agree on: why alleged “progressive” groups (like Jewish Voice for Peace) are nothing of the kind. I, too, will look forward to learning your thoughts, Jon.